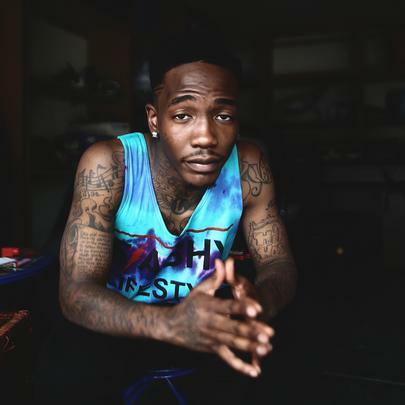 By far the chillest member of Hopsin's Funk Volume crew, Dizzy Wright officially made a name for himself in 2013, landing the "People's Choice" spot in XXL's 2013 Freshman class and releasing one of the year's more memorable mixtapes, The Golden Age. Throughout his career, he's collaborated with Logic, Irv da Phenom, Honey Cocaine, Kid Ink, Wyclef Jean, Baeza, Fashawn, Scru Face Jean, Pedro Bizz, LBO and more, as well as his Funk Volume brethren SwizZz, Jarren Benton, DJ Hoppa, Kato, Rikio and 6ix. Not only is the Las Vegas native's smoked-out wordplay incredibly on point and positive, he's managed to return to the roots of the hip-hop while remaining progressive, and is backed by one of the most noteworthy independent labels in the game. The world will know his name soon enough. Layzie Bone of Bone Thugs-n-Harmony is his uncle. Dizzy began rapping at age 8. Hopsin Says Funk Volume Is "Officially Dead"